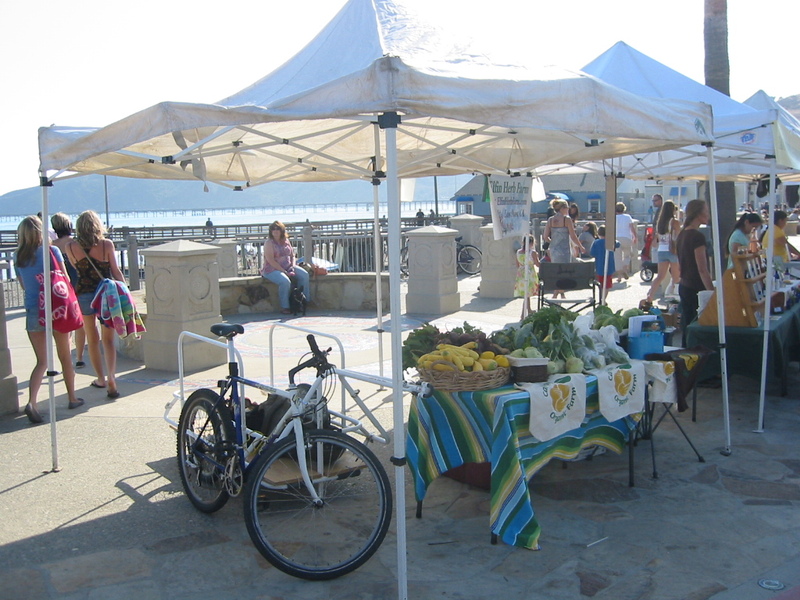 You are currently browsing the tag archive for the ‘farmer’s market’ tag. 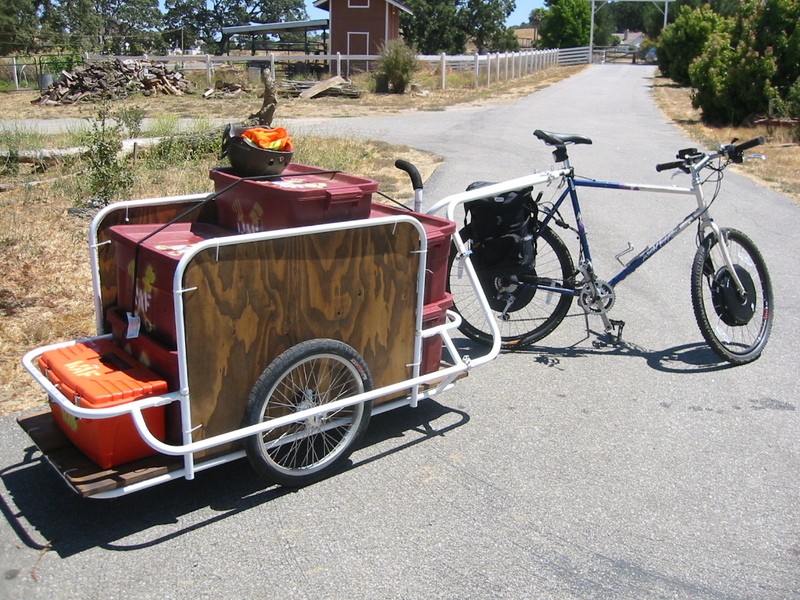 Some more bike trailer stuff! 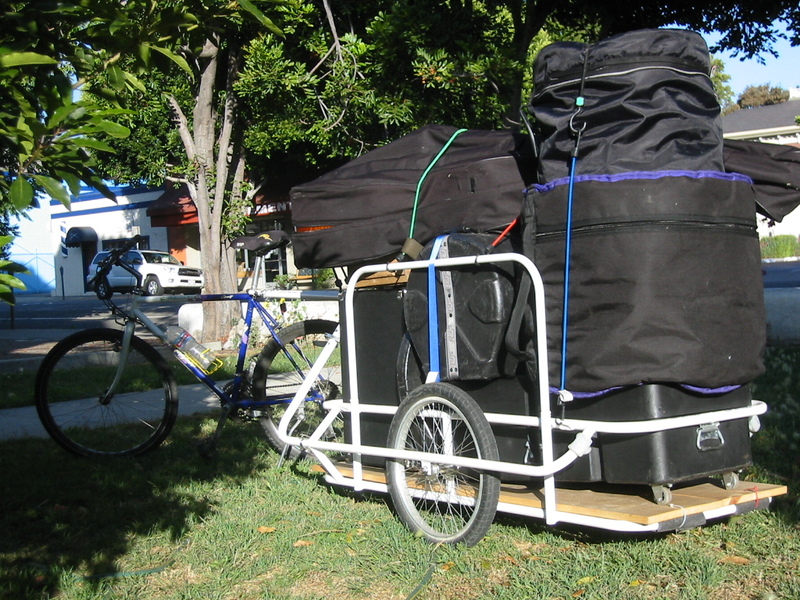 Here I am loaded up to head down to the Avila Beach Farmer’s Market for the Cal Poly Organic Farm. It’s a pretty nice spot to work. So that was probably the biggest and furthest unassisted haul I’ve done. It was a doozy for sure, but fun (especially in retrospect). Well now I’ve got this sweet electric motor kit from E+ Electric Bikes on my bike, which is a whole nother story. It’s a trade-off in many ways, but overall I can definitely do a lot more work with it. And though it has its fair share of unique frustrations, mostly it’s a much faster (funner?) ride. 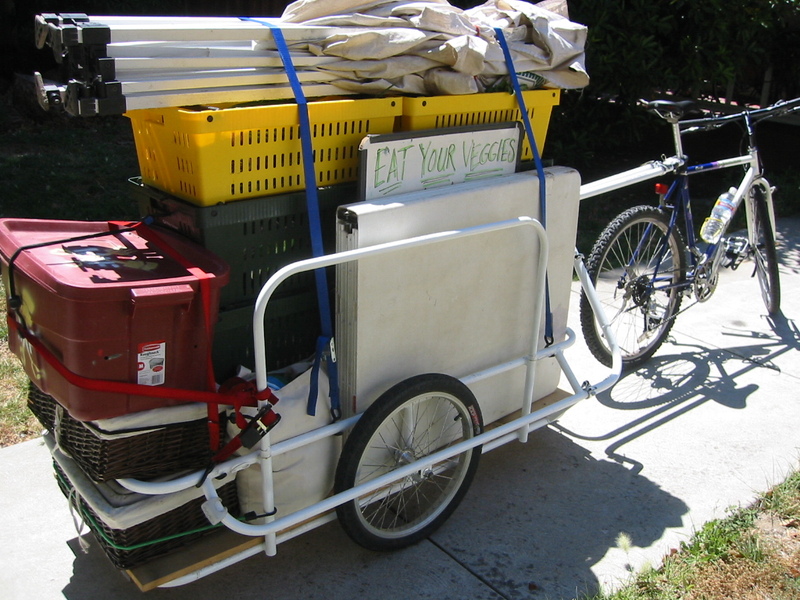 Here it is loaded up with veggies from Wormy Acres Farm.